Doesn’t even tell the public where the money will be spent. Of course, Rec and Park needs funds – so does every other city department. Proposition B would provide a guaranteed flow of funds to Rec and Park, but it comes at a high cost to the public. Rec and Park currently gets funding from various sources, including appropriations from the General Fund. This pool of discretionary funds is also used to support non-enterprise departments such as the Department of Children, Youth, and Families. During the yearly budget process, the Board of Supervisors holds public hearings and decides which departments gets what percent of those discretionary funds. Proposition B mandates approximately $4.5 billion of funding for Rec and Park’s exclusive use over the next 30 years. See No on B – Rec & Park Charter Amendment 2016–2045 Financial analysis. Proposition B takes away from the Board of Supervisors the authority to adjust that funding during the budget process. The Board is your voice on the budget; if the Board loses their authority over Rec and Park’s funding, then so do you. Proposition B takes away access to those funds from other General Fund Departments. No matter how desperately the City would need funding for an emergency, no one is going to be able to touch the Rec and Park set-asides. Proposition B has no list of specific projects. Rec and Park would decide exclusively how most of the $4.5 billion would be spent. Proposition B’s so-called ‘equity analysis’ has no teeth. Rec and Park would both create the equity analysis and evaluate its own analysis! No matter how unfairly Rec and Park doles out the money, the Supervisors would not have the authority to change it. The City Controller has stated that Proposition B violates a voter-approved city policy against set-asides and “would have a significant impact on the cost of government.” See Controller statement Prop B. Opposing Proposition B would not deprive Rec and Park of funding; they can still make a case for their needs during the budget process. In fact, Rec and Park is planning to ask for yet another bond in a few years. A broad political spectrum of groups and individuals is opposing Proposition B, including Supervisor Aaron Peskin, Supervisor Katy Tang, Sierra Club, Coalition for San Francisco Neighborhoods, San Francisco Tomorrow, HANC – Haight Ashbury Neighborhood Council, League of Pissed off Voters, SF Green Party, SF Republican Party, SF Libertarian Party, District 8 Progressive Democratic Club, Potrero Hill Democratic Club, and the SF Chronicle (article PDF). 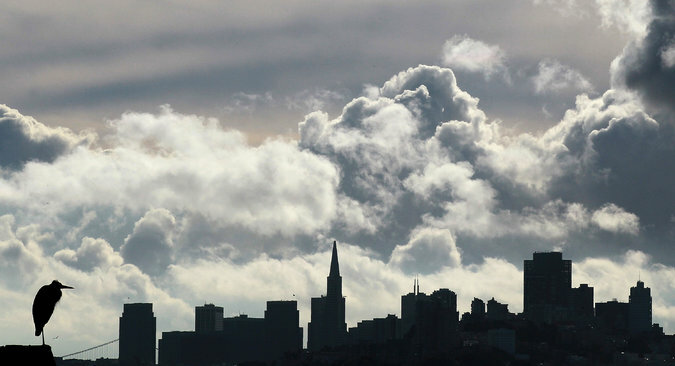 San Francisco has seen a lot of financial ups and downs over the years. To respond to the changing needs of the people of San Francisco, we must have a say in how our money is spent and how our parks are managed. Please vote NO on Proposition B!